A poisonous cocktail of glyphosate , heavy metals and fluoride all work to block the activity of magnesium and other essential trace elements. As magnesium in particular is the essential electrolyte involved in mitochondrial metabolism of ATP, protein synthesis and enzyme activity, its deficiency is likely to be at the very root of this environmental toxic assault. Starved of energy, cells die. Over-exposure to glyphosate, heavy metals and fluoride may turn out to be the worst environmental disaster in human history contributing to the exponential rise of degenerative diseases like diabetes, renal failure, heart disease, cancer, auto-immune disorders, autism spectrum disorder, alzheimers, parkinsons, dementia and cancer. Fast forward three years: In a ground-breaking decision on August 10, 2018, a court in California ordered Monsanto to pay US$289 million in damages to Dewayne Johnson, a school grounds keeper who had alleged Monsanto’s glyphosate-based weed-killers, including Roundup, caused his cancer. Lawyers are now scrambling to take advantage of this precedent to represent a large cohort of further damages claims. Bayer’s shares had plummeted in value following the announcement, as they had recently purchased Monsanto for a reported 63 billion dollars. Bayer may however not be so concerned about Monsanto’s legal woes, as they apparently intend to ditch the name Monsanto in the not-to-distant future. The acquisition of Monsanto’s assets will leave Bayer with a new global market dominance in control of nearly one third of the combined world market for seeds and pesticides. That’s not all! Bayer also happens to have an extensive pharmaceutical division. Its parent company had a long history in the manufacture of drugs, including Aspirin and Heroin, in the early part of last century. They were also involved in the chemical experimentation on prisoners of war in Nazi Germany. In addition to spraying on GMP crops, glyphosate is also extensively used as a desiccating agent before harvest of non-GMO crops such as wheat, rye, barley, lentils, citrus and sweet potatoes to drench and dry down the crop, making the harvest easier. Our agricultural animals are also fed a substantial amount of these glyphosate-tainted crops. More studies need to be done to measure residues in meats. Once glyphosate was introduced into water and staple crops, it became ubiquitous in the food supply over the years as an invisible and sinister cellular intruder. 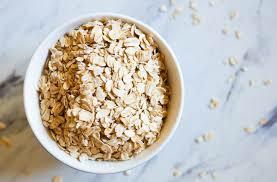 Environmental Working Group (EWG) found in their lab tests that 31 of 45 samples of conventionally grown oats had 160 ppb or more of glyphosate, thereby exceeding EWG’s health risk benchmark. 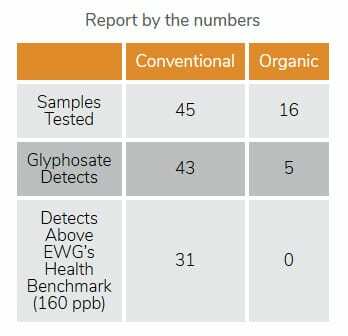 Some organic products even had traces of glyphosate, but below the limits. This contamination of organic crops is because glyphosate residues can drift in wind, as well as be carried by birds and bees. Yes, you heard right girls. 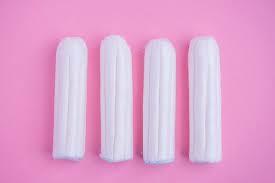 That means your tampons and menstrual pads. Is nothing sacred? To add insult to injury, glyphosate is made more toxic within the Roundup formula due to adjuvants that help it penetrate plant membranes – which also end up penetrating human membranes and barriers. We can breathe it in, we can absorb it through the skin and we can consume it via food supply. The review goes on to explain glyphosate’s mechanism of toxic action. Firstly, it is a strong chelating agent, creating complexes that immobilize the mineral micronutrients of the soil, such as magnesium, calcium, iron, manganese, nickel and zinc, making them unavailable to plants. This means that the food supply is robbed of vital mineral nutrients. We eat the food, it fills a void, but it doesn’t supply valuable nutrition. The end result is that we keep eating more and more empty carbs until obesity and other metabolic diseases such as hypertension, diabetes, senile dementia, inflammatory bowel disease, renal failure, thyroid or liver cancer develop. Celiac disease and gluten intolerance is characterised by symptoms of nausea, diarrhoea, skin rashes, macrocytic anaemia and depression. In their ground-breaking research into celiac disease and gluten intolerance, scientists Anthony Samsel and Stephanie Seneff reported an associated pathology of inflammatory response in the upper small intestine, leading to a flattening of the microvilli, impairing their ability and important role of absorbing nutrients. Furthermore, undiagnosed celiac disease is associated with a 4-fold increased risk of death, mostly due to increased cancer risk. In Monsanto’s own studies, soybeans showed a seven-fold increase of trypsin inhibitor which, if eaten, would give a patient gas and bloating. Gut dysbiosis and gluten intolerance are notably common bio-markers in Autism Spectrum Disorders (ASD) and other mental health issues. 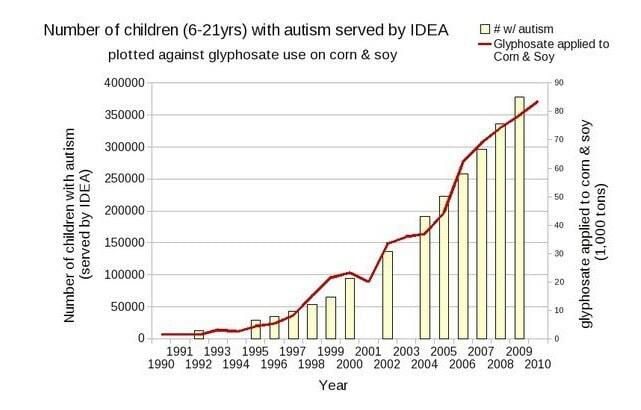 Seneff also published a graph linking the incidence of autism growing in line with growth in the use of glyphosate. The severity of glyphosate damage to living organisms is expressed via its disruption and inhibition of the Shikimate enzyme pathway in bacteria and plants – a pathway human cells (apparently) don’t have. It was promoted by Monsanto that this was the reason humans would be immune to the toxic effects of Glyphosate. However it turns out that nothing could be further from the truth. 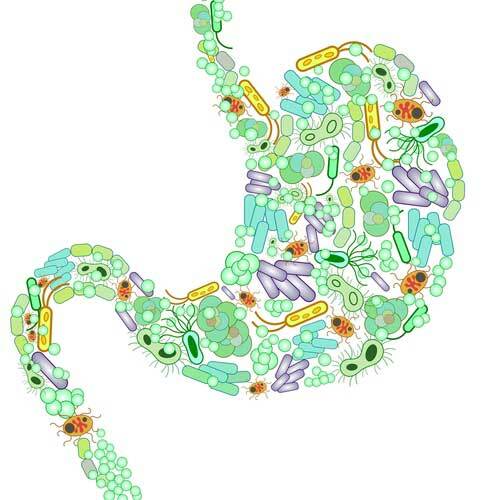 Humans depend on beneficial bacteria (which respire using the Shikimate enzyme pathway) for digestion and absorption of nutrients, synthesis of vitamins (including B12), detoxifying harmful chemicals, improving intestinal permeability and increasing the defences of the immune system. If this system is choked via blocking of respiration and metabolism, the bacteria die and the gut can become victim to overgrowth of pathogenic bacteria that are more resilient to the effects of glyphosate. ria produce acidic by-products which eat holes into the intestinal lining. From the chloroplasts in plants that photosynthesise and turn sunlight into starches (stored energy) to the mitochondria of human cells that convert that stored energy into electrical energy, these pathways of ATP energy metabolism are reliant on enzyme activity. As enzymes are proteins and protein synthesis relies on availability of magnesium, enzyme activity requires magnesium. Glyphosate binds up and blocks the activity of magnesium. Plant chloroplasts contain chlorophyll – the green pigment that absorbs sunlight. The chlorophyll molecule has magnesium at its centre because magnesium is intimately involved in conductivity of electrons (electrical energy flow). In the process of photosynthesis (photophosphorylation), the energy of sunlight is used to create a high-energy electron donor and an electron acceptor. This moves electrons along an Electron Transport Chain (ETC) using water and CO2, which then creates an attractive force via a proton gradient (pump) across a membrane, resulting in energy and oxygen by-products. The energy surplus is converted to starches. r and promoter of acidosis and oxygen starvation (hypoxia). Bacteria and mitochondria also use cytochromes containing heme protein (red pigment from iron) to shunt electrons in a variety of Electron Transport Chain configurations for respiration. Heme has an affinity for oxygen binding and transport. To produce energy, cytochromes shunt electrons along the chain to the oxygen (which was a by-product from plant respiration) and end up with water and CO2. The most energy is produced when oxygen is available, however in anaerobic environments, different electron acceptors are used including nitrate, nitrite, ferric iron, sulphate, carbon dioxide, and small organic molecules such as fumarate. Animal cell and mitochondrial membranes are made up of a phospholipid bilayer containing the lipid soluble Ubiquinone (also called CoQ 10 enzyme) which helps move electrons and protons across the membrane to produce energy (ATP). Magnesium is needed to support CoQ10 enzyme activity, as well as by mitochondria in the making of ATP. Without enough magnesium, ATP production slows because ATP without magnesium can become toxic. The mitochondria are particularly vulnerable to oxidative stress. They need a lot of antioxidant support in order to neutralise the acids of metabolism by-products such as Reactive Oxygen Species (ROS). Heavy metals and xenobiotic chemicals like glyphosate can interfere and inhibit the anti-oxidant process so that pH and energy metabolism of the cell drops, causing degeneration. Note that magnesium can act directly as an antioxidant (electron donor), as well as to support protein synthesis and enzyme activity as part of mitochondrial ATP energy production. To help defend cells and their mitochondria it is not only important to avoid exposures to these chemical disruptors, but also to ensure absorption of higher levels of magnesium and antioxidants through diet and lifestyle. This supports both energy production and detoxification systems. Important detoxification enzymes are disrupted by Glyphosate, such as Glutathione and CYP P450. Problems with the activity of these enzymes are strongly associated with autism spectrum disorders, mental illness, auto-immune disorders, celiac disease, heart disease, diabetes and cancer. All of these conditions have in common heightened inflammatory responses, accumulation of waste products and acidosis leading to cell energy starvation and dysfunctional detoxification systems, blocked by heavy metals like aluminium together with chemicals like glyphosate and fluoride. Glutathione (GSH) is a powerful antioxidant fat-soluble enzyme used by the liver in detoxification to neutralise free radicals and prevent cellular damage. The three sulphur-containing amino acids – glutamine, glycine and cysteine – used by the body to make glutathione, are also a vulnerable target for heavy metals. When the body is overloaded with toxic metals there are not enough of the sulphur-containing amino acids available to make glutathione. In other words, the toxic metals block the body’s ability to detoxify. Magnesium is required to produce glutathione, as glutathione is a protein. Glutathione is found in every cell, but more commonly in liver cells, as the liver is the main detoxification organ and has to do most of the heavy lifting. GSH is thought to participate in the detoxification of acidic metabolism by-products, as well as inflammatory acidic by-products such as reactive oxygen species (ROS), including those produced by the action of another detoxification enzyme – cytochrome P-450. It is shown that GSH transferase B inhibits lipid peroxidation (ie, acidification). GSH is important for pH balance and neutralisation of acids in order to maintain our ‘good’ cholesterol – HDL (high density lipoprotein). As the brain is largely composed of cholesterol fats it also needs all the help it can get to detoxify. Scientists have found that sulphur amino acid deficiency, which are the precursors to production of glutathione enzyme, depresses the brain glutathione level. This makes it harder for the brain to eliminate waste products and chemical toxins. Glyphosate inhibits cytochrome P450 enzymes (CYP), which are involved with cleaning up and eliminating environmental toxins, activating vitamin D3, catabolizing vitamins and maintaining bile-acid production for digestion and sulphate supplies to the gut. Cytochrome P450 proteins, named for the absorption band at 450 nm of their carbon-monoxide-bound form, are one of the largest superfamilies of enzyme proteins. The P450 genes (also called CYP) are found in the genomes of virtually all organisms, but their number has exploded in plants. They are involved in energy metabolism and used in plants and humans against chemical assault and contribute to vital processes such as carbon source assimilation, biosynthesis of hormones and structural components of living organisms, as well as carcinogenesis and degradation and elimination of xenobiotics (ie, toxins). According to Seneff et al, the combination of aluminium and glyphosate, the main active ingredients in Roundup, has a synergistically more virulent toxic effect on the brain and pineal gland. This interferes with the production of tryptophan and subsequently melatonin, a powerful brain antioxidant produced during deep sleep. Fluoride also has an affinity for heavy metals including aluminium. In fact the fluoridated water flowing through pipes corrodes and can pick up aluminium and other metals from fittings during its transit to your kitchen tap. Not only that, but the fluoride chemicals commonly used in water fluoridation are derived from industrial chimney wastes and contain aluminium, lead, mercury and other heavy metals. The phosphate fertilizer industry is the biggest producer of fluoride wastes used in water fluoridation, as fluoride is a major component in phosphate rock that is mined. Therefore, the phosphate fertilizers themselves contain a significant amount of fluoride, which can be taken up by plants from soils. Black tea is particularly good at taking up fluoride in the leaves. Many researchers have speculated that the combination of aluminium and fluoride has led to an epidemic in brain disorders including Alzheimers, Parkinsons and Dementia. Fluoride blocks and binds up magnesium, literally stealing it from your cells. Fluoride toxicity mimics magnesium deficiency symptoms – including the development of hypercalcemia where calcium deposits excessively in soft tissue (including arterial lining) and joints. Fluoride is a calcium attractor via its inhibition of magnesium, as magnesium controls the calcium ion channels. Low magnesium means that calcium is free to block your tubes. nd neurotoxin which inhibits cell respiration and enzyme activity – like glyphosate! Reports from China, India, and Iran have found that children in high fluoride areas had significantly lower Intelligence Quotient (IQ) compared to children in low fluoride areas (Seraj 2006; Tang 2008; Trivedi 2007). Fluoride exposure causes neurochemical and biochemical changes in the brains of laboratory animals (Li 2003; NRC 2006). Fluoride also increases the production of free radicals in the brain (Chouhan 2008; Zhang 2007; Zhang 2008). Studies of rats exposed to fluoride compounds reported distortions of brain cells and neuronal deformations, and neurodegeneration (Bhatnagar 2002; Shivashankara 2002; Varner 2002). These neurobiological effects are associated with developmental delays, behavioural problems, and possibly dementia in late adulthood (NRC 2006). Both glyphosate and fluoride bind up and inhibit magnesium – thereby inhibiting enzyme activity and cell respiration. If you are drinking fluoridated water or beverages and eating foods tainted with glyphosate it is a very dangerous combination leading to the build-up of a toxic metal cocktail, which stifles energy production, causing degeneration and cell death. 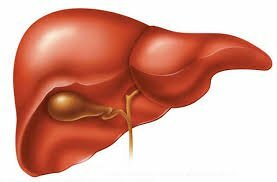 According to Juan Tang et al, mineral ion imbalance is involved in the oxidative damage to liver caused by glyphosate exposure. The contamination of our environment and food supply by glyphosate working synergistically with heavy metals like aluminium and chemicals like fluoride, could turn out to be the worst environmental disaster in the history of humanity (that was self-inflicted). Although we cannot realistically avoid all possible exposures to glyphosate, fluoride and heavy metals, as they are now so ubiquitous in the environment and food supply (unlabelled), we can do our best to avoid GMP crops which are certain to contain glyphosate and we can purchase (or grow) organic foods wherever possible. Make sure to read ingredients of any brand of herbicide if you intend to use one in your garden or lawns because many of them can contain glyphosate. We can also get a fluoride filter (reverse osmosis or ion-exchange), but make sue to add the electrolytes back into the water to re-mineralise and alkalise. If you have a calcium filter additive then add extra magnesium chloride salts to counteract the calcium, as calcium in oversupply can inhibit magnesium’s work. 1. Torretta, V., et al., Critical Review of the Effects of Glyphosate Exposure to the Environment and Humans through the Food Supply Chain. Sustainability, 2018. 10(4): p. 950. 2. Samsel, A. and S. Seneff, Glyphosate, pathways to modern diseases II: Celiac sprue and gluten intolerance. Interdiscip Toxicol, 2013. 6(4): p. 159-84. 3. Goldani, A.A.S., et al., Biomarkers in Autism. Frontiers in Psychiatry, 2014. 5: p. 100. 4. Pontes, M.H., A. Sevostyanova, and E.A. Groisman, When too much ATP is bad for protein synthesis. Journal of molecular biology, 2015. 427(16): p. 2586-2594. 5. Gomes, M.P. 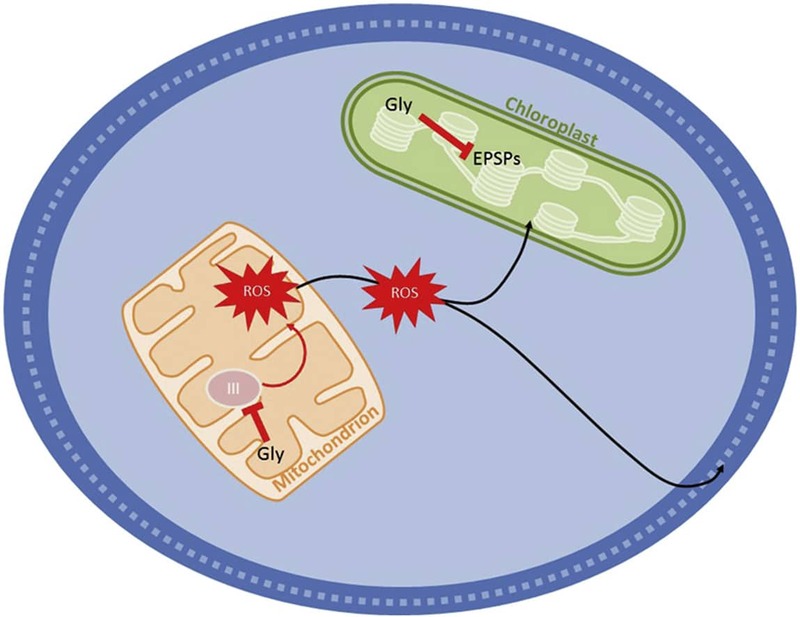 and P. Juneau, Oxidative stress in duckweed (Lemna minor L.) induced by glyphosate: Is the mitochondrial electron transport chain a target of this herbicide? Environmental Pollution, 2016. 218: p. 402-409. 6. Turrens, J.F., Mitochondrial formation of reactive oxygen species. The Journal of Physiology, 2003. 552(Pt 2): p. 335-344. 7. Paterson, P.G., et al., Sulfur amino acid deficiency depresses brain glutathione concentration. Nutr Neurosci, 2001. 4(3): p. 213-22. 8. Werck-Reichhart, D. and R. Feyereisen, Cytochromes P450: a success story. Genome Biology, 2000. 1(6): p. reviews3003.1-reviews3003.9. 9. Seneff, S., N. Swanson, and C. Li, Aluminum and Glyphosate Can Synergisti-cally Induce Pineal Gland Pathology: Con-nection to Gut Dysbiosis and Neurological Disease. Vol. 06. 2015. 42-70. 10. Tang, J., et al., Ion Imbalance Is Involved in the Mechanisms of Liver Oxidative Damage in Rats Exposed to Glyphosate. Frontiers in Physiology, 2017. 8: p. 1083. 11. Dias, M.V., et al., Effects of the magnesium and chloride ions and shikimate on the structure of shikimate kinase from Mycobacterium tuberculosis. Acta Crystallogr Sect F Struct Biol Cryst Commun, 2007. 63(Pt 1): p. 1-6. 12. Winther, G., et al., Dietary magnesium deficiency alters gut microbiota and leads to depressive-like behaviour. Acta Neuropsychiatr, 2015. 27(3): p. 168-76.